Item # 298257 Stash Points: 9,995 (?) This is the number of points you get in The Zumiez Stash for purchasing this item. Stash points are redeemable for exclusive rewards only available to Zumiez Stash members. To redeem your points check out the rewards catalog on thestash.zumiez.com. Lead your team to victory on the court or simply express your individuality out in the streets with Champion's new Rally Pro Navy and White Shoes. 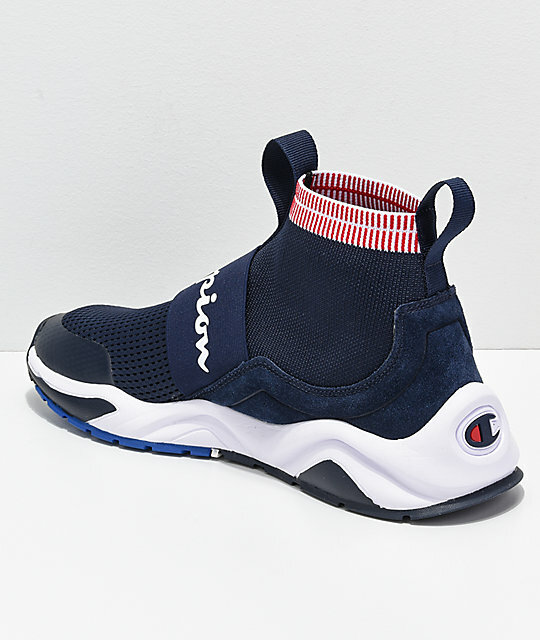 Featured with a sleek basketball-inspired silhouette that includes a one piece bootie construction embodying a unique upper comprised of a breathable mesh/elastic textile combination and a logo printed gore strap. Athletic and modern, the Rally Pros deliver lightweight performance and a contemporary edge to any outfit. 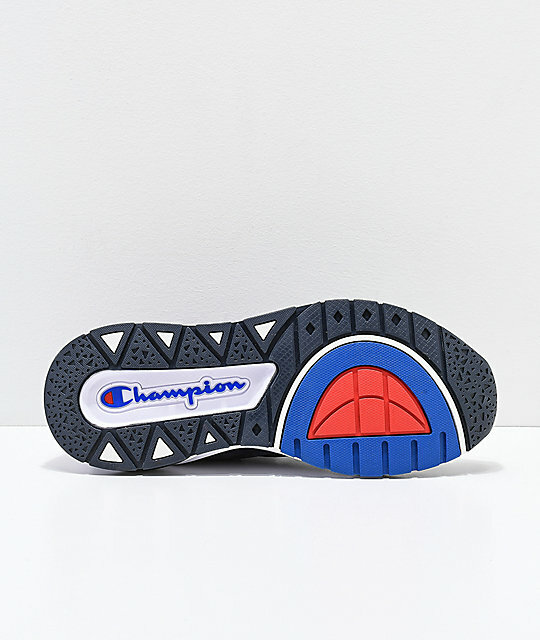 Rally Pro Navy and White Shoes from Champion. Woven mesh/elastic textile upper with suede trim on sidewalls and back of heel. 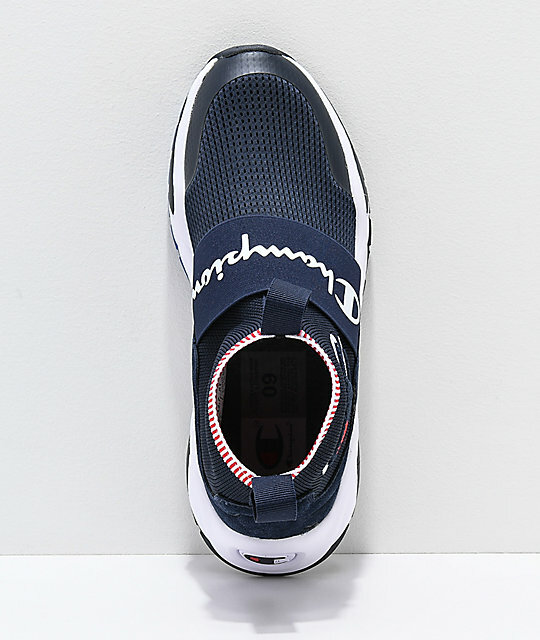 Elastic logo printed gore strap across forefoot. 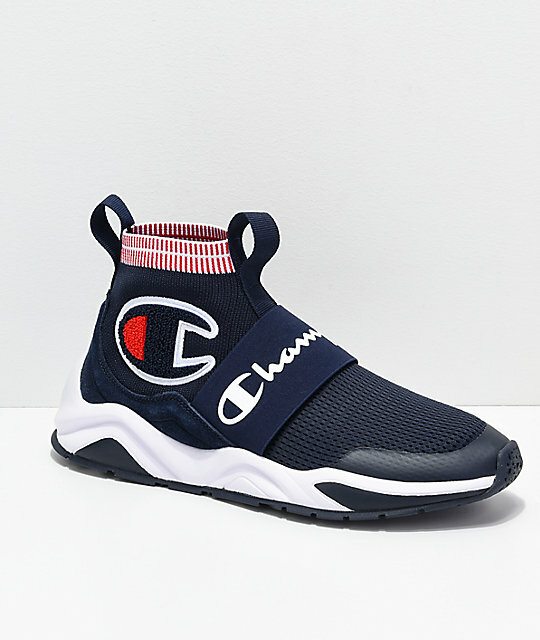 Embroidered Champion "C" logo on inner ankle. Woven tongue and heel tab for easy on-an-off access. Welded toe cap for durability. Full One piece bootie construction for sock-like fit.